This story starts out with the happenings of a normal evening. Ky and Dan headed to PetCo with the dogs in tow. Dan with Tiana and Ky with Sid. We took Ky to bed, fed the frogs, read a story about Dinosaurs, said prayers and gave kisses good night. Within a couple of minutes I hear sobbing coming from Ky's room. I head upstairs and sit on the edge of her bed to find out what is wrong. She can hardly contain herself and I have to tell her to take a few deep breaths so I can understand her. Come to find out, when she went to the pet store a little boy wanted to pet Sid but Ky was on her way out and trying to catch up with Dan and Tiana, so she did not let him. She said she had been feeling bad about it all night because she doesn't like it when she feels like she has hurt someones feelings. She just knew that little boy was sad and she felt terrible about it. My heart melted. My seven year old has a heart, a heart made of solid gold. Not to worry, I explained to her the importance of her feelings and assured her she did nothing wrong, that it was just bad timing and the little boy at the store surely understood that. She slept well that night and is now better prepared for the next time she hurts someones feelings on accident. Whew! It's been a while..
Well, summer had many things to offer us this year which managed to completely remove our desire and ability to blog. Through the good's and bad's, up's and down's, high's and low's, we hunkered down to simply enjoy the company of each other all summer long. Now that the sun and warmth has abandoned us, I figure it's about time to become part of the world once again and provide an update or two. 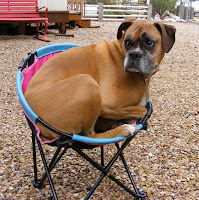 We learned that our wonderful and loving Boxer, Kota had Cancer which prevented her from eating. The smaller she got, the more our hearts broke and eventually we had to make the hardest decision of our lives. Special thanks to Oquirrh Hills Veterinary for caring for our dog.. and for us during that difficult time. Maybe one day I will be strong enough to tell the story of that day. The void in our hearts was later filled with a spunky Doberman puppy, Tiana. While she is completely different than Kota was, she seems to have wiggled her way right into our hearts. As a tiny puppy, she was naughty, biting everyone and chewing on everything. With time though, she has gained some wonderful skills (thanks to some due-diligence, and fantastic training advice from Communicanine Dog Training Service, Thanks Ty!). Tiana loves to cuddle, eat and play in the snow. Sid has taken well to her but he obviously despises the fact that she will take his toys and treats whenever she wants. Kylie started Chinese Immersion this year in 1st grade. She spends half her day doing normal 1st grade things, and the other half being immersed in Chinese. This has been great for her in so many ways! We didn't realize how much she was learning until we attend parent teacher conferences and watched our baby have a full conversation in Chinese. Fantastic! Dan ran his first Marathon in South Jordan, rumored to be the hardest Marathon around, even by seasoned runners. He is excited to add to that count in 2011. We are all so incredibly proud of his accomplishments and hope that one day the whole family, can join in this new exciting and healthy way of life. Dan also earned his Bachelors Degree this year. His dedication and hard work has finally paid off and he is thrilled about spending more time with the family with his extra time. Laurie (that's me), ran a 5k this year and started to learn Chinese. While my progression on both fronts are not nearly as advanced as Dan and Ky, I am enjoying myself a whole lot. Well, I think that about does it. Y'all enjoy! Those who are close to us are aware that shortly after we were married we added an amazing addition to our family. A beautiful fawn colored baby Boxer. Kota has been a significant part of our lives for over 8 years. This entry is a small journal of her medical history, in case I ever need to remember. The first bit of tragedy happened when Kota was about 3 months. We learned the scary way that she was highly allergic to bee stings. After a trip to the Emergency Vet, we learned to keep benedryl close by. Cost: $250. Shortly after that we learned Kota was also allergic to the sun. One of her favorite things to do is to bask in the sun for hours, however she always returned with little hives covering her back. Just causing the hair to stand up in little spotty areas. The benedryl helped when they seemed bothersome but that was only required a couple of times. The rest of the sun instances have taken care of themselves within 30 minutes or so. At about 3 years old, she started losing the hair on her back. After many vet visits and a special canine skin doctor we learned that she was allergic to the changing seasons. Apparently her body thought it was not time yet for a new season, so a little Melatonin was prescribed to help her body realize that it was time for a season change. Cost $950. At 6 years old, we noticed a lump on her back. At first it was just like all of the other little hives she would get from the sun, but unlike the other sun bumps this one did not go away- at all. Within a couple of months it seemed to stick out a little more and changed to a blackish-purple color, it was also now joined by a second little "bump" thing, so I took her into the vet. The vet said "Just like humans, Dogs get warts and moles. These are nothing to be concerned about." Cost: $85. At 7 years old we went camping where Kota saw another dog whom she decided she did not like and began to growl and bark. As she got more excited about this other dog, I noticed a walnut sized lump on her side near her belly. Within a couple of minutes after Kota had calmed down, the lump had shrank and was just a flat piece of skin, like a soft flat wart looking thing. Within a couple of days, I had seen this lump each time Kota got upset or angry, so I took her back to the vet. This time I learned that the doctor (same office, different doctor) actually was concerned about the lump on her side, AND the two on her back. He wanted to take them out and have them tested. Within a week we learned that all three lumps were Mast Cell Tumors. Kota had Stage 1 cancer. At this point we needed to widen the margins of the cells removed, she needed more surgery and bigger cuts. Cost:$3500. Within a few weeks, the urinating had subsided a bit but not completely, and we noticed she had started drinking TONS of water. We stopped giving her the pills and within a week she was peeing everywhere, every time she went to sleep; so we put her back on the pills and took her back to the vet who wanted to do more tests. Apparently the first set of urine tests were diluted and they would need to start over. Again they found nothing and suggested X-ray's. Cost: $250. It was within the X-ray's that they found a tumor in Kota's chest. After this, they felt it important to inform us that her white blood cell count was up during that first set of tests, which could mean cancer is in her blood stream and her organs. In order to find out, they would need to do an ultra sound. They would also need to extract fluid from the tumor and to do this, she would need to be sedated. Suggested cost: $1200. Keep in mind, this would only tell us if it is cancer and where it might be in her body, this has nothing to do with treating anything they find. The following weekend (while we were to discuss if we wanted to do these tests), we took Kota camping. The whole time, she drank and drank and drank and within 2 days, she had stopped eating. Kota is the kind of dog who, if you leave her alone, she will steal a loaf of bread off the counter and eat the whole thing, so this was very out of the ordinary for her. This was just this last weekend and as of this afternoon Kota has started eating again, perhaps she was tired and/or stressed from the camping surroundings. We decided not to do the tests as we feel it will just add to our stress and to hers. She hates the vet and is miserable and stressed to the max with each visit. I thought it may be good to at least know where the cancer was so we could have an idea as to how much longer we would have with her. But, to what end? I don't get to choose how long she stays with us. It breaks my heart to think our time with her is limited, but I am proud to know that she has and will continue to live an amazing life for as long as we can keep her. Perhaps it was due to visiting late with friends the night before, running un-godly long distance runs, having a slight sinus cold or doing yard work in the warm sun; but Dan was extremely tired this past Saturday. As he sat in his chair after dinner, he shared his lack of energy with Kylie and I.
Ky advised confidently, "I know how to fix that." Kylie got off her chair, calmly walked toward him and placed both hands on his face, one on each cheek. Slowly then, she pulled one hand slightly off his face and... SMACK! All he could do was chuckle and shake his head. Perhaps it is because she is his only child. Or because she is a girl. Or because she is six. Or all of that combined. But she got away with it and I enjoyed it immensely. Yep, that's her; Kota. She is almost 8 years old and clearly in her senior years. Laurie and I purchased Kota soon after we were married in 2002, she was there to greet us when we brought Kylie home from the hospital. Kota is truly one of a kind. She normally sleeps at the foot of our bed, snoring and snotting her way to sleep every night. OK, I lied. She doesn't normally sleep at the foot of our bed, she normally sleeps on top of our bed between my legs wrapped up in a little ball. Laurie hogs the blankets, I hog the dog. Lately for the past few months Kota has decided that my legs or our bed is not good enough for her anymore, she has taken over the couch in the living room. We try to coax her into bed with us, but she just grunts and goes back to sleep on the couch. Wonder what we did? Well, the last couple weeks I've been having a sinus infection that does not want to go away, one night I woke up at 2AM shivering out of my mind, I got out of bed, shivered my way to the kitchen sink to get a drink of water and could hear my teeth chattering on my way back to bed. I COULD NOT get warm. I laid in bed trying to convince myself that it's all in my head, that I could control these chills, that worked for about 30 seconds. Thoughts were going through my mind "is there anything I can take that will stop this?, should I wake Laurie up?, What IF I wake Laurie up?" After about 20 minutes of non stop chills, I heard a familiar noise, the shaking of a collar. I hear the collar slowly approach our room and feel something jump up on our bed, travel over to me, and curl up in a tight ball next to my chest, its Kota. After a bit, her warmth radiated me and made the shivers subside. Now, am I up in the night to think that Kota knew what was going on? Or was it luck of the draw? As I walked Kylie to bed the other night she experienced a mental break down. She was sobbing so hard I could not understand a word she was trying to say. We reached the top of the stairs and I was finally able to understand pieces of speech between the sobbing. She had done something wrong and she should not have done it. I sat her on her bed and asked her what had happened. Again, she started with uncontrollable sobbing with what seemed like words in between the sobs. I asked her to take a breath to calm down a little bit, so she did. The sobbing had subsided a bit and she was crying but now I could understand her. "I took my favorite rock and put it under my pillow so the Tooth Fairy would think it was a tooth and give me some money, but she took the rock and didn't leave me any money and now I don't have my favorite rock anymore AND I don't have any money!!" So I asked her, "So you are upset that you don't have your rock?" She says "Yes, and I don't have any money either!" So we used this experience as a lesson in honesty. Though I must admit that I felt a little hypocritical by telling her not to LIE to the TOOTH FAIRY. During our morning routine of getting ready for the day Ky was taking a shower. I helped her wash the shampoo out of her hair and continued getting ready myself while she finished her shower. As I was finishing my makeup I looked over at the shower and noticed Kylie with suds in her hair again. I have to admit I was not happy about more soap in her hair and got a little testy with her. "Kylie! Why did you put more soap in your hair?!" She said defensively, "MOM! I AM ON THE LAST ONE!" "Ky, you already washed your hair, now you are just waisting time." "But Mom, I am on the LAST ONE!" "Kylie, you should be done by now." She looked at me like I obviously did not know what I was talking about and picks up the shampoo bottle. Pointing to it she says, "Mom, it says 3 in 1. I am on the LAST one!"